Bursting with butterflies and flowers, this tarot bag makes an elegant and meaningful cocoon for your cards. 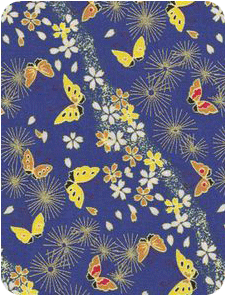 Highlighted with gold metallic accents the brilliant colors of the fluttering butterflies and flowers practically leap off a field of royal blue. 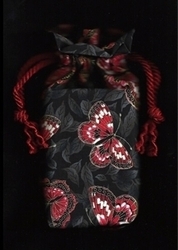 The butterfly has long been seen as a symbol of transformation. The caterpillar is earthbound before it creates a chrysalis where it enters a deathlike state. It finally emerges, but is forever changed. It is a symbol for the eternal nature of the soul. Once free of earthly needs, like the butterfly, we soar free as pure spirit. 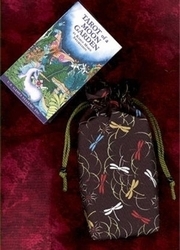 This bag will look wonderful with almost any tarot or oracle deck that includes illustrations with a natural setting or landscape. 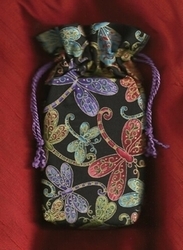 We use this bag for housing the Chrysalis Tarot. It looks like the cards were drawn just for this bag! 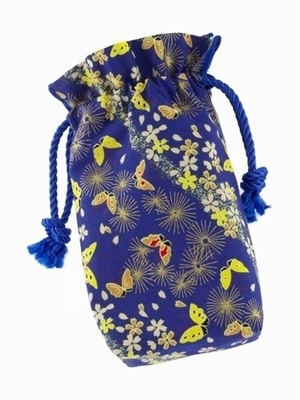 Deck Suggestions: We just love how the following decks look with this Flutterby Bag. Bag Design: Our Double Draw bags close with two drawstrings made of triple twist cord, which creates a 1" ruffle effect when closed. The bottom of the bag is slightly squared off (gusseted) to better fit a deck of cards. For extra protection, keep your cards boxed inside the bag and it will stand up! Size: Measures about 4-1/2" to 4-3/4" wide by 7-1/4" to 7-1/2" long (approx. 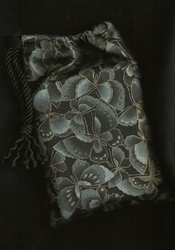 12 cm x 19 cm). Fits most card decks that are 3-1/4" by 5-1/2" and less.